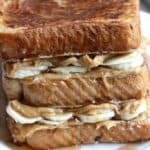 Peanut Butter and Banana Stuffed French Toast takes traditional french toast to a whole new level! It’s simply three of my favorite things combined! 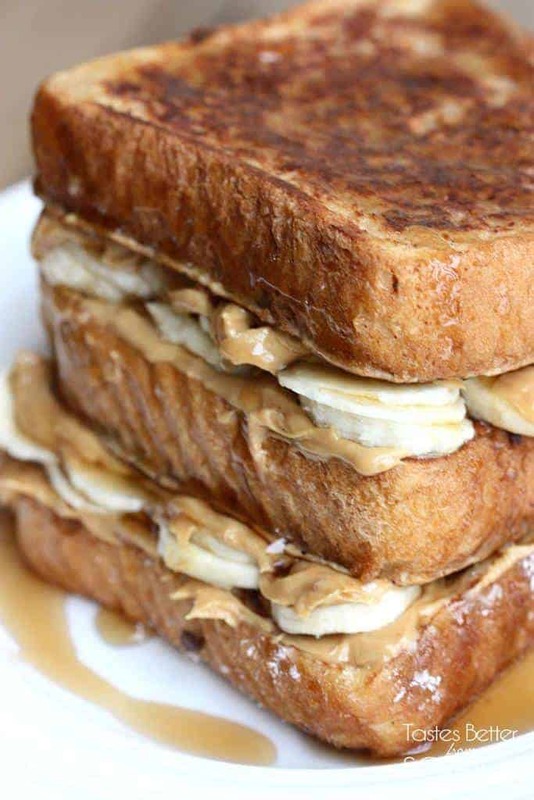 Peanut Butter and Banana Stuffed French Toast takes traditional french toast to a whole new level! Prepare a griddle over medium heat. Add eggs, milk, flour, sugar, salt, cinnamon and vanilla to a shallow pie dish. Beat well to combine. Dip bread slices in egg mixture and place on a hot buttered griddle. Cook on both sides until golden brown. Remove to a plate. Smooth 1 Tbsp of peanut butter over each slice of french toast. 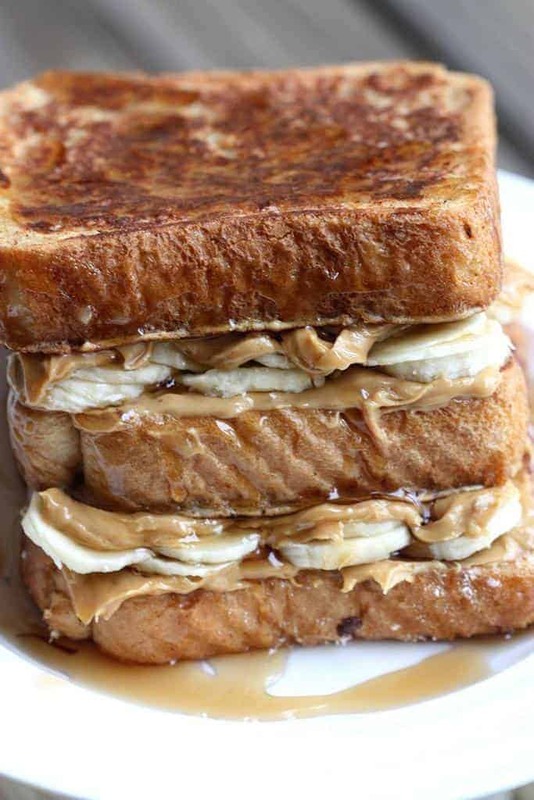 Add a layer of sliced bananas on top of the peanut butter. Sandwich two slices of french toast together. Repeat with remaining slices. Serve warm, sprinkled with powdered sugar and drizzled with syrup. Umm….yes. Right now, please and thank you. I wonder if the granulated sugar could be replaced with honey or maple syrup…clearly, I’m no French toast expert, but I need to become one, and soon! My husband surprised me and made these for me. YUMMMMMMMYYYYY!